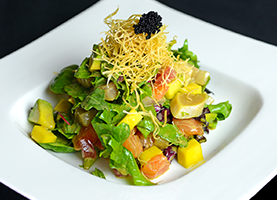 With VeeKoo Asian Cuisine's BYOB option, customers are able to add their own element to our dishes. 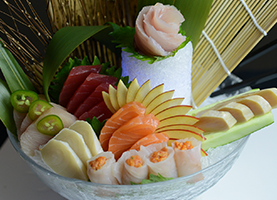 VeeKoo Asian Cuisine offers a sushi bar, to give the customer total visibility when it comes to our food. 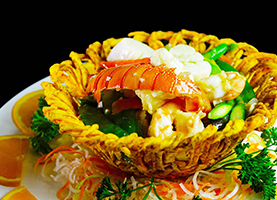 At VeeKoo Asian Cuisine, we provide Berwyn, PA with a fabulous variety of your Asian food favorites, all in an excellent family dining atmosphere! Our environment is elegant enough to host a special occasion, yet comfortable enough for a more relaxed dinner for two. Our skilled chefs prepare many different flavors from the East, allowing our customers to choose from a diverse menu. We strive for customer satisfaction. Our stocked menu ranges from simple lunch specials like white rice and miso soup, to our chef’s specialty, Royal Peking Duck. If you wish to relax after a long day at work, or surprise your family with a tasty meal when they get home, our full menu is available for take-out. We even provide catering to the Berwyn, PA community! Pick your level of spiciness with any order to get that perfect taste for your unique palate. Convenience is a must when it comes to serving our customers at VeeKoo Asian Cuisine. We are open late, seven days a week, and our chefs are always ready to prepare a fresh plate. Whether it is fine dining or carryout you desire, we promise to provide timely service with a smile. With our BYOB option, you can even pour a glass of your preferred beverage while you wait! Our restaurant provides a full spread of authentic Chinese and Japanese cuisine, ranging from Seaweed Salad and General Tso's Chicken to fresh Steamed Dumplings. We have something for everybody! Come on by or give us a call for a Chinese and Japanese lunch special, or a warm bowl of evening noodles.